The "You Can Do!" 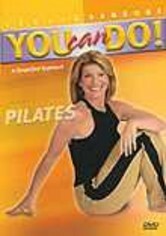 series of exercise programs from expert fitness instructor Leslie Sansone provides personal touches to working out with her specific methods created to improve health and get people in shape. This segment focuses on the abdominal area, with a sequence designed for strengthening, toning and defining the abdominal region.